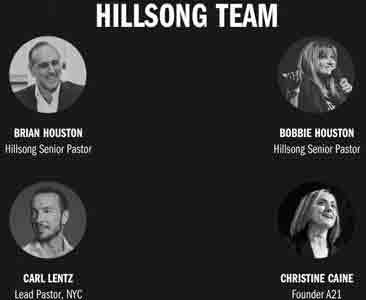 That graphic comes from the website advertising the upcoming apostasy-palooza Hillsong Conference 2014 (HC2014), which features head HC heretics, “Senior Pastors” Brian Houston and his wife pastrix Bobbie. Notice also that the “Apostle of Cool” Carl Lentz is involved with HC2014 as well. 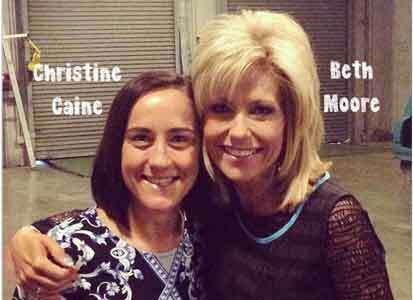 Returning to Christine Caine’s tweet, she’s visiting her comrade Beth Moore at the Stockton, CA stop of Moore’s Living Proof Live series.3 The schedule is busy enough that Moore has had to take a break recently from her Wednesday’s with Beth on Life Today TV (LTT) of James Robison. We have been blessed to have one of America’s premier Bible instructors, Beth Moore, share each week. With her own ministry growing, time is precious in her schedule with regards to speaking and family and we understand that. We are delighted to have Christine Caine presenting a series of teachings during our Spring Mission Feeding emphasis and know she will be a blessing to you as well. Thank you for watch Wednesdays in the Word and taking advantage of this time each week to received from God’s Word through anointed teachers like Christine and Beth. This led to Word Faith Pastrix Christine Caine Preaches Sunday Morning Sermon For Steven Furtick. In addition, Caine’s also been a featured speaker for Louis Giglio at a couple of his Passion conferences as well. 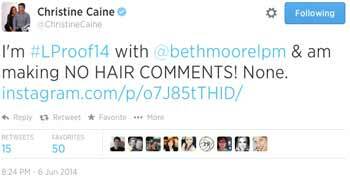 In fact, just this past year we would see John Piper To Preach With Hillsong Pastrix Christine Caine At Pssion 2014. In On Contemplative Spirituality And Charismania I warned that spurious spirituality is slithering deeper into evangelicalism. Here’s another example of how evangelical charismatics like John Piper and Beth Moooe are helping usher Word Faith charismaniacs like Christine Caine into the mainstream of the church visible. T.D. JAKES REPENTS OF WORD FAITH HERESY AND MYTHOLOGY?